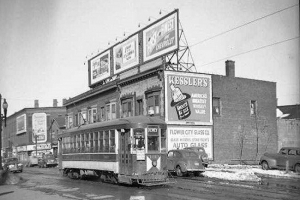 Flower City Glass started with a very humble beginning in 1924, when three brothers, Bert, Joseph and Salvatore Gianforti worked for American Glass and Construction located in Buffalo, New York. They were sent to Rochester, New York for a project to install windows. After being in Rochester for a few months, they decided to start their own small glass shop doing automotive glass, residential work and small commercial glass projects such as gas stations and retail stores. 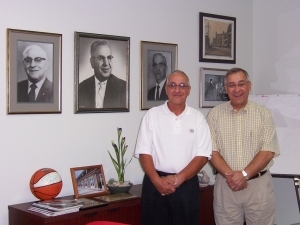 The new business did well with Salvatore managing the auto glass division, Joseph managing the field work and Bert filling the role of business manager as well as helping out wherever needed. During the Great Depression, the partner’s wives pitched in to help, allowing Flower City Glass to survive when so many others did not. As the Depression was nearing the end, the business was profitable and sustainable – they had weathered the storm. 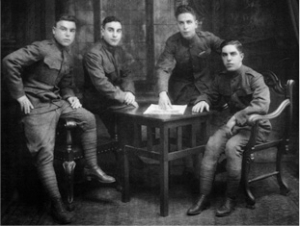 As the years went by, Bert’s sons James and Richard, joined the family business, eventually purchasing the company from their father who was the last surviving first generation owner. 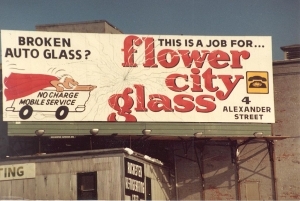 During the late 1960s through the 1970s Flower City Glass grew dramatically, increasing revenue 100 fold. 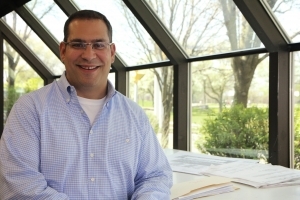 James oversaw the Auto Glass division, known as Auto FX, and the Residential Division while Richard handled the Commercial Division. In the late 1990s, Richard’s son, Richard Jr. purchased the company from father and uncle, taking the helm as the third generation owner. Flower City Glass thrives today with its core focus on commercial glazing products and services, Western NY’s leading provider of shower glass doors and enclosure as well as residential windows and doors, and auto glass repair and replacement.